Piping Engineering will cover introduction to piping, international standards, material selection guide, piping material class, specialty items. +–What is the objective of piping engineering? Piping engineering training program is offering to fresher and experienced (mechanical, petro, chemical) engineers who’s start their career as designer (or) piping project engineers in oil, gas, chemical, petro chemical / refiners/ energy & power sector. Piping engineering is job oriented EPC training program. After completion of training candidate can start their career as piping engineer, project engineer, drafting engineer, (or) piping design engineer. +–Who should attend piping engineering ? 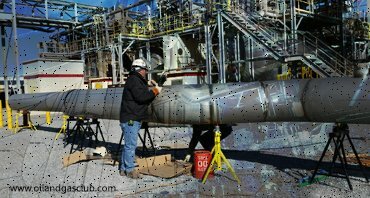 +–What is the duration of piping engineering ? Improve your piping engineering knowledge and skills taught by our industry experts. You can get a world class training and best practical session from oilandgasclub in both online and direct mode. Enroll today. ▸▾How engineering students benefit from this course? ▸▾Pay-scale of Piping Engineer ?